Zhuzh! Tan Accelerator is formulated and designed to work with your skin to achieve a great tan. 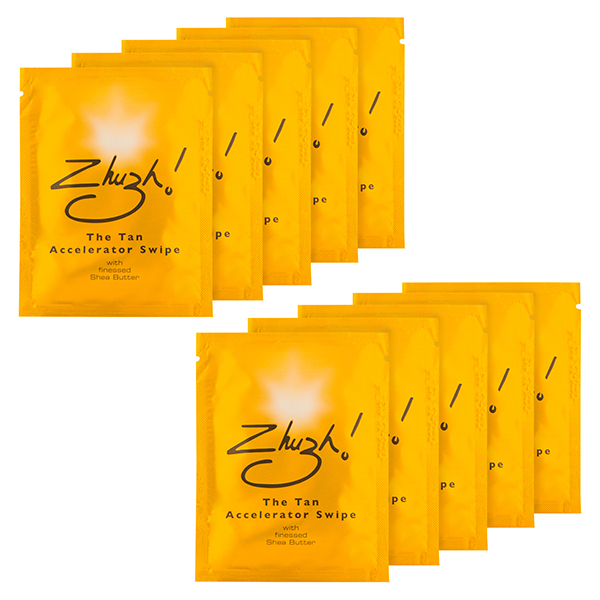 Melanin production is naturally a slow process, so if you find it takes you a long time to tan, using Zhuzh! Accelerator could help to accelerate the tanning process. Gives your sleepy melanin a wake up call! Perfect when going for a walk, sitting outside, or on the beach, one easy swipe will give nature a helping hand in giving your skin that healthy glow! Note: This does not contain an SPF (Sun Protection Factor). Always use a cream with SPF before going out in the sun.